Cowboys Casino is located in Calgary, Alberta, Canada. It was formerly the Stampede Casino. The original casino was opened in 1969 before it was rebranded in 2006 to its current name and theme. Like most people would expect form the name of the casino, cowboys are well represented in the casino. Cowgirls are not left out either and there are plenty of other things that remind people of this rough and tumble lifestyle. While the theme of the casino is cowboys, it also is able to establish a Vegas style atmosphere with the bright lights, fountains and showgirls. There are more than 400 slot machines to choose from. Traditional machines and video machines are scattered over the casino floor. Players will find classic titles that they love or they can try out the newest games that are always being added at the casino. The slots range from the penny slots up to dollar slots. Progressive machines are also available. Players can also take advantage of the live video roulette and touch bet roulette machines on the floor. The slot area of the floor is a non-smoking area and is always kept clean. There are 8 different table games spread across more than 30 tables. These including blackjack, roulette, craps, baccarat, fortune pai gow, tile pai gow, Ultimate Texas Hold’em, EZ baccarat (including handheld) and a private handheld baccarat room. There is really something for everyone. Players that want to wager higher amounts can take advantage of the high limit room. There they will find baccarat, hand-held baccarat, tiled pai gow and blackjack in a great setting. Players in the high limit room will get the VIP treatment that expect. The Poker room has 14 tables where players can enjoy limit and no limit games. Omaha, Texas Hold’em and Pineapple are designed for the people that enjoy the thrill of going head to head with other players. The poker room is open 24 hours and is the perfect place to get involved or to hold tournaments. Players can also take advantage of the offer by the casino to help people learn how to play the table games. They offer special nights where they teach people how to play before they have to risk any of their money. 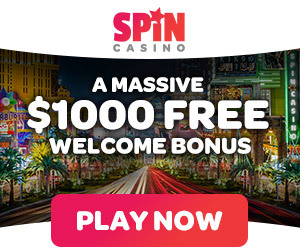 The casino offers many different promotions throughout the year. They also have a seniors club that offers special rewards to the visitors that are over the age of 55. It is best to contact the casino or check the website to find out more information about any promotions that re currently being offered. There are plenty of things to do at the casino other than play the games. The Players zone has television showing the sports scoreboard. The Centre Bar offers food and drink and has constant specials running. The casino is located at 1801n Big Four Trail Southeast, Calgary, Alberta, Canada. Slot machines are open daily form 10 am to 3 am. The table games are open daily from 12 pm to 2 am. More information about the casino and what it offers can be obtained by email at gaming.cowboycasino.ca or by phone at 403-261-0422.